Check-In by Or Multimedia simplifies event guest/attendee registration and management. Planning and managing a business event can mean anything from hosting a small cocktail party to putting on international conferences and conventions and everything in between. Three of the key parts of any event, however, are invitations or registration in advance of the event, guest/attendee check-in at the actual event, and professional follow-up afterward. Or Multimedia of London decided to make the guest/attendee management part of events simpler and more streamlined when it launched its Event Check-In Pro app for the iPad last year. With the success of that launch, the company retooled its app to offer two difference feature sets – standard and pro – and a range of pricing options. The updated app, which hit the App Store late last month, offers a range of features that can be used for handling one-day workshops or week-long multi-session conferences. While the Check-In app is free, it’s designed to work in concert with Or Multimedia’s web service. That service has a range of rates depending on how you want to license use of the app. You can register and pay for individual events or opt for one of two monthly subscriptions. The first subscription tier allows you to manage up to four events a month while the second offers unlimited use of the service. The company offers a web portal where you can organize guest/attendee lists and customize the iPad app design for specific events. 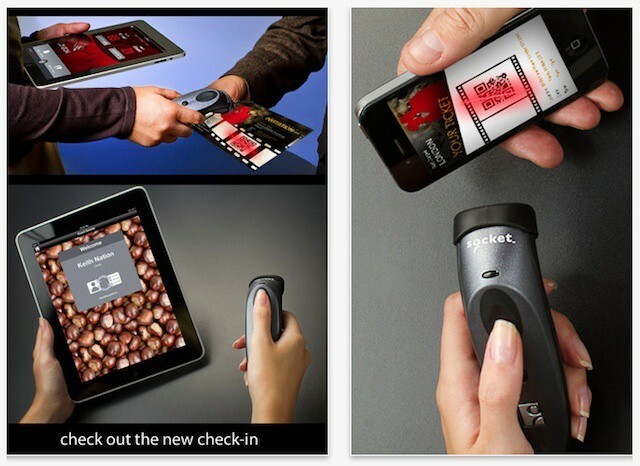 The pro service includes the ability to generate unique QR codes for guests/attendees that can be used to speed check-in and grant access to multi-session events. It also offers the ability to export guest/attendee information. At the event, one or more users can check guests/attendees into the event using a quick and easy iPad app. Multiple iPads are supported and can sync data (with or without a network connection) while provide real-time check-in stats. The service can also send automatic texts to a host when VIPs arrive. The pro offering includes rapid Bluetooth-based check-ins, restricted access to the guest list, and guest/attendee tracking throughout the event. Ultimately, Check-In offers a simple but effective tool for guest/attendee registration, a part of the event planning and management process that often falls by the way side or is handled as an after thought.